We use a WATER COOLED SLOW SPEED ABRASIVE BELT SYSTEM that will not affect blade temper. ALL GRINDING, BUFFING AND POLISHING IS DONE WET AND COLD! We sharpen many thousands of knives, scissors and tools every year and have a thorough understanding of their uses in many industries. Same day knife sharpening service on weekdays. 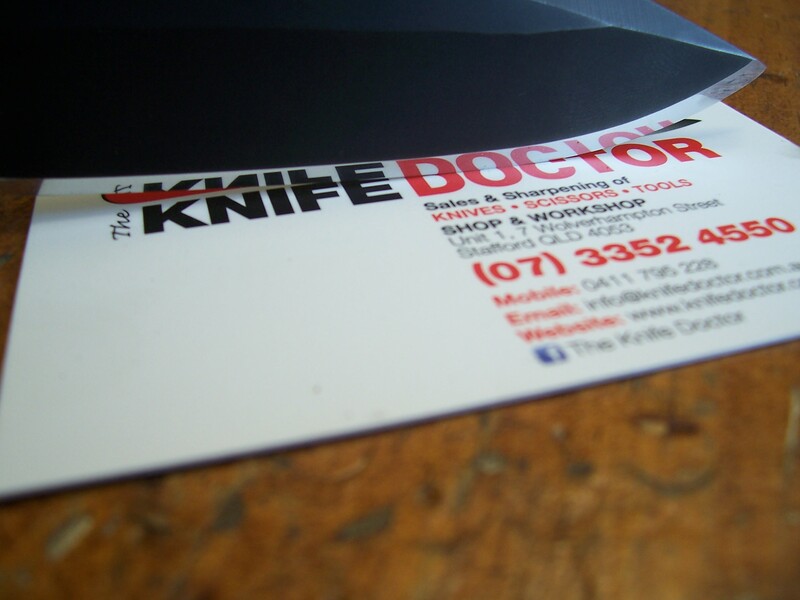 Drop off knives for sharpening before 10.00 am and they will be ready for pick up sometime after 3.00 pm. Free Advice on the Care and Maintenance of Knives, Scissors & Tools. Conveniently located with easy parking! Kyocera Ceramic Knife Sharpening Centre. After more than 20 years in business we have built our good reputation through our motto: BEST QUALITY WORKMANSHIP GUARANTEED.